So far, studies on dietary antioxidant intake, including β-carotene, vitamin C and vitamin E, and breast cancer risk are inconclusive. Thus, we addressed this question in the European Prospective Investigation into Cancer and Nutrition. During a median follow-up time of 8.8 years, 7,502 primary invasive breast cancer cases were identified. Cox proportional hazard models were used to estimate hazard ratios (HR) and 95% confidence intervals (CI). All analyses were run stratified by menopausal status at recruitment and, additionally, by smoking status, alcohol intake, use of exogenous hormones and use of dietary supplements. In the multivariate analyses, dietary intake of β-carotene, vitamin C and E was not associated with breast cancer risk in premenopausal [highest vs. lowest quintile: HR, 1.04 (95% CI, 0.85–1.27), 1.12 (0.92–1.36) and 1.11 (0.84–1.46), respectively] and postmenopausal women [0.93 (0.82–1.04), 0.98 (0.87–1.11) and 0.92 (0.77–1.11), respectively]. However, in postmenopausal women using exogenous hormones, high intake of β-carotene [highest vs. lowest quintile; HR 0.79 (95% CI, 0.66–0.96), P trend 0.06] and vitamin C [0.88 (0.72–1.07), P trend 0.05] was associated with reduced breast cancer risk. In addition, dietary β-carotene was associated with a decreased risk in postmenopausal women with high alcohol intake. Overall, dietary intake of β-carotene, vitamin C and E was not related to breast cancer risk in neither pre- nor postmenopausal women. However, in subgroups of postmenopausal women, a weak protective effect between β-carotene and vitamin E from food and breast cancer risk cannot be excluded. The online version of this article (doi: 10.1007/s10549-009-0444-8) contains supplementary material, which is available to authorized users. 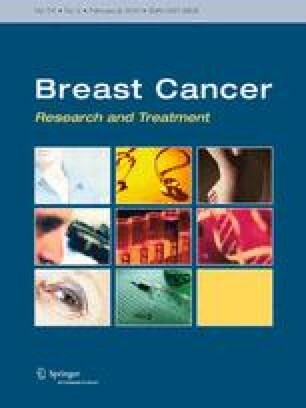 The EPIC study was funded by “Europe Against Cancer” Programme of the European Commission (SANCO); Ligue contre le Cancer (France); Société 3M (France); Mutuelle Générale de l’Education Nationale; Institut National de la Santé et de la Recherche Médicale (INSERM); German Cancer Aid; German Cancer Research Center; German Federal Ministry of Education and Research; Danish Cancer Society; Health Research Fund (FIS) of the Spanish Ministry of Health (RCESP-C03/09); the participating regional governments and institutions of Spain; Cancer Research UK; Medical Research Council, UK; the Stroke Association, UK; British Heart Foundation; Department of Health, UK; Food Standards Agency, UK; the Wellcome Trust, UK; Greek Ministry of Education; Greek Ministry of Health and Social Solidarity; Hellenic Health Foundation and Stavros Niarchos Foundation; Italian Association for Research on Cancer; Italian National Research Council; Dutch Ministry of Public Health, Welfare and Sports; Dutch Ministry of Health; Dutch Prevention Funds; LK Research Funds; Dutch ZON (Zorg Onderzoek Nederland); World Cancer Research Fund (WCRF); Swedish Cancer Society; Swedish Scientific Council; Regional Government of Skane, Sweden; Norwegian Cancer Society.